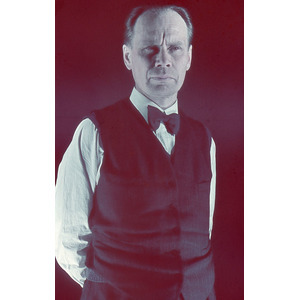 The artist Aukusti Tuhka (-1919 August Tuhkanen) may well be regarded as the grand old man of Finnish graphic art. Tuhka made his artistic debut as early as 1912 in the town of Viipuri, situated in today’s Russia (then part of Finland). A year later he started as an apprentice of lithography at the Viipurin Kirjaja Kivipaino Oy printing house.Tuhka is remembered today as one of Finland’s foremost teachers within graphic art, but his own production is also both varied and impressive. Throughout the years, Aukusti Tuhka had time to engross himself in graphic and functional design. Among other things, he illustrated works of natural science and created educational posters for schools. During several different periods in the 1920s and 1930s, Tuhka studied graphic design in Leipzig, where he also took a degree in teaching. His ambitions made him a pioneer within Finnish graphic art. Tuhka mastered the technique perfectly and with his teaching insight he was able to pass on his knowledge very effectively. Aukusti Tuhka taught both at the Academy of Art and at the Institute of Industrial Arts in Helsinki. In 1958, he founded his own private school, named Tuhkan Taidegrafikkan Kurssiateljee, located in Nervanderinkatu in Helsinki. A predominant reason for the foundation of the school was Tuhka’s desire to pass on the graphic art skills to younger artists. He was driven by the worry that older traditions within the field might die out. Among the many artists who came to study in Tuhka’s school were Helmiriitta Honkanen, Lauri Mäkinen, Tapio Tapiovaara, Camilla Mickwitz and Pirkko Ropponen.